Resource Center Eating Disorders & Drug Abuse: What Are the Risks? 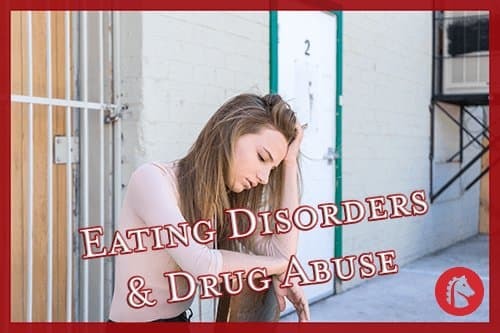 Eating Disorders & Drug Abuse: What Are the Risks? Eating disorders represent a complex case of mental illness that often stems from a chemical imbalance in the brain. Unfortunately, the malnourishment caused by the restrictive eating behaviors of those with these disorders often affects brain chemistry even more. There are several types of eating disorders, with the three most prominent being anorexia, bulimia, and eating disorders not otherwise specified, per the Diagnostic and Statistical Manual of Mental Disorders. Around 24 million Americans are suffering from some kind of eating disorder. Eating disorders impact the way a person perceives their body and eating habits. The most common eating disorder is anorexia, which affects up to 1 percent of the American female population, according to the National Eating Disorders Association. This disorder causes the sufferer to restrict their food intake to extreme amounts in an effort to lose weight. The second most prevalent eating disorder is bulimia. It affects 6.2 million people in American, per Mirror Mirror, and presents similar symptoms as anorexia but includes bingeing and purging behaviors. 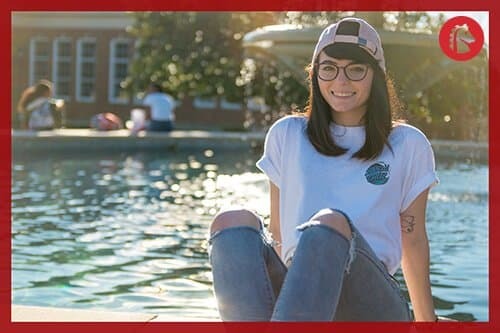 Eating disorders not otherwise specified (EDNOS) is a category that includes those who present with some symptoms of either bulimia or anorexia but not enough symptoms to qualify for a diagnosis for either. There are certain risk factors that may make someone more likely to develop an eating disorder. While males do develop eating disorders, North Dakota State Universitynotes that only around 10-15 percent of people suffering from them are men. Younger women are far more likely to suffer from eating disorders than older women. The Sutter Health Palo Alto Medical Foundation notes 91 percent of women surveyed on a college campus reported using diets to control their weight, and 22 percent remarked they were on a diet often or always. In addition, having other mental health disorders may contribute to the increased likelihood of developing an eating disorder since they are tightly correlated with people who suffer from co-occurring Axis IV disorders, per the journal of Biological Psychiatry. Another strong factor in the development of these illnesses is a person’s upbringing. If a religion, culture, or overall societal environment that a person grows up in places a strong emphasis on thin women being more desirable or superior in some way, this opinion is often planted in the minds of girls from a very young age. America definitely perpetuates this train of thought. Every news stand is graced with altered images of thin celebrities. Even princesses and heroic figures in children’s films are created to be thin. If young women feel they don’t align with this societal ideal, they may start to dislike their bodies and look for ways to change them. This same affection for thinness may be a problem for girls who participate in sports, ballet, gymnastics, or modeling and pageants. These women often feel pressure to look perfect and will be judged if they don’t measure up. Regardless of gender, individuals who were victims of sexual abuse as children may be more likely to grow up and develop eating disorders. The Eating Disorder Referral and Information Center reports one therapist claimed as many as 60 percent of their patients who sought help for eating disorders had been sexually or physically abused as a child. People who purge often develop swollen, puffy cheeks as a result. They may have calluses that form on their knuckles from using their fingers to force themselves to throw up. Other physical signs of eating disorders include a gaunt appearance or minimal body fat. That being said, not everyone with an eating disorder is underweight. In fact, many who struggle with bulimia are of normal weight or even overweight. People with eating disorders often develop these disorders after suffering for years with anxiety and obsessive tendencies. The Anxiety and Depression Association of America states that two-thirds of people with eating disorders have had a concurrent anxiety disorder at some point in their lives, per one study, and 42 percent of these people had the anxiety disorder long before they developed an eating disorder. Is Substance Abuse a Causative Factor? In short, no. Substance abuse will not directly cause an eating disorder to develop, nor will an eating disorder necessarily lead to substance abuse. That being said, these disorders are often related. Many people who abuse drugs use specific substances to try to shed pounds or maintain weight loss from starvation and purging practices. Most often, people with eating disorders will abuse drugs that help them reach their goals in some way. The motive to lose weight or suppress appetite often leads them to abuse diet pills. Phentermine is a drug that many abuse since it is chemically similar to methamphetamine but available via prescription, which leads many to believe it is safer. Other stimulants, like methamphetamines and cocaine, are common drugs of abuse as well. Prescription stimulants, like Concerta and Adderall, are widely abused among those with eating disorders. People who abuse these drugs hope to reduce their desire to eat food, as 36 percent of people who use Adderall report having a reduced appetite as a result. Some people who suffer from eating disorders will abuse laxatives to shed water weight. In addition, they might take ipecac syrup on a regular basis to induce vomiting, though most find easier ways to force vomiting. People with eating disorders may also abuse alcohol or other depressants to numb emotional, and sometimes physical, pain. The journal of Psychosomatic Medicine reported on a 2006 study in which 22 percent of women with eating disorders also presented with substance use disorders. Treating both substance abuse and eating disorders at the same time is the only way to effectively address both issues. If one is left to fester, it will usually infiltrate the other and cause relapse. Addiction treatment involves withdrawing from the substances of abuse and comprehensive therapy to address the psychological issues that led to the abuse. A variety of different therapies are used. Inpatient treatment is generally recommended for people suffering from eating disorders, and even more so for those suffering from both a substance use disorder and an eating disorder. Inpatient treatment allows for intensive care as clients stabilize physically. Some clients may need medical treatments to address issues that were caused by the eating disorder, and new levels of nutritional balance must be reached. Achieving this level of physical balance is even more important when the client is also withdrawing from substances of abuse. Medical oversight is needed. After withdrawal and physical stabilization, a comprehensive treatment program will address the underlying issues related to both disorders. Since these issues are related, treatment doesn’t take separate tracks for each disorder. Instead, therapy addresses both issues simultaneously.